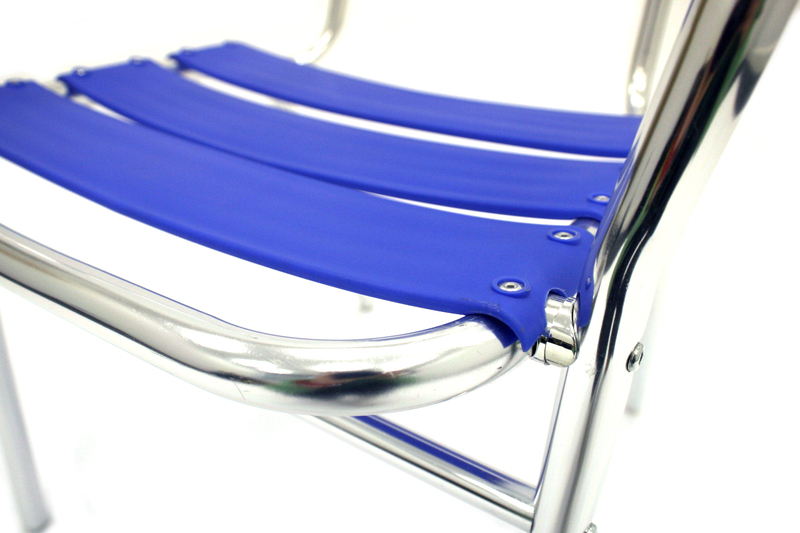 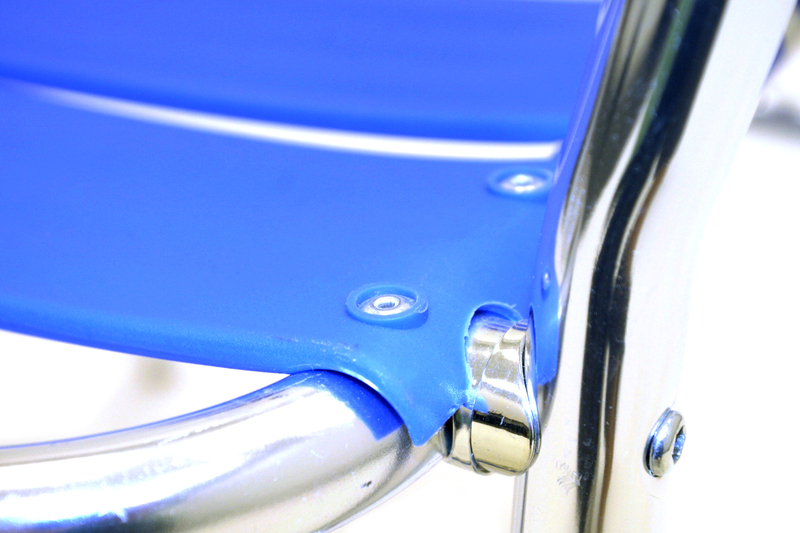 Lightweight tubular aluminium frame with a blue plastic seat & back. 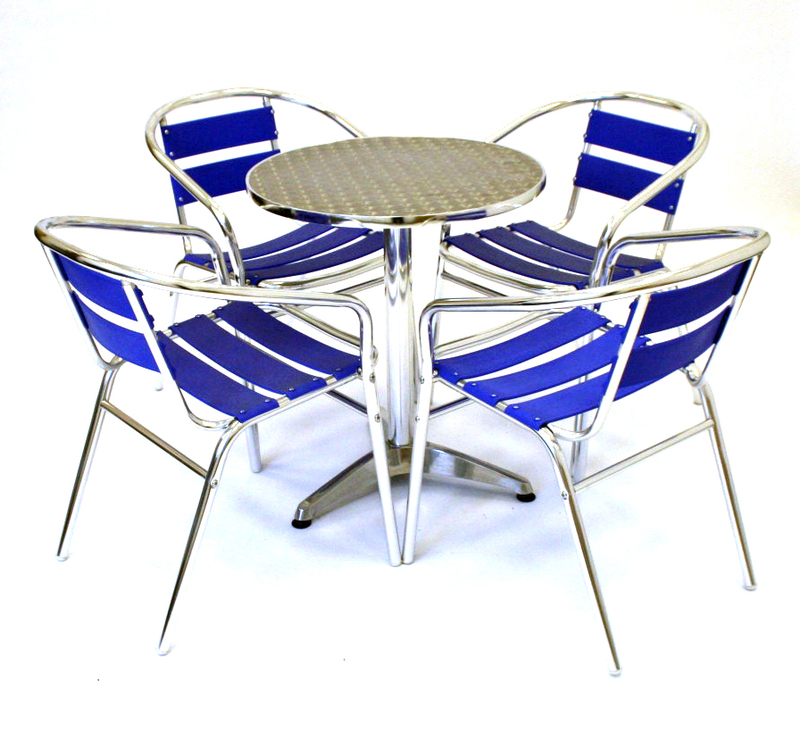 These bistro chairs would be ideal for use in the garden or in cafe’s and restaurants etc. 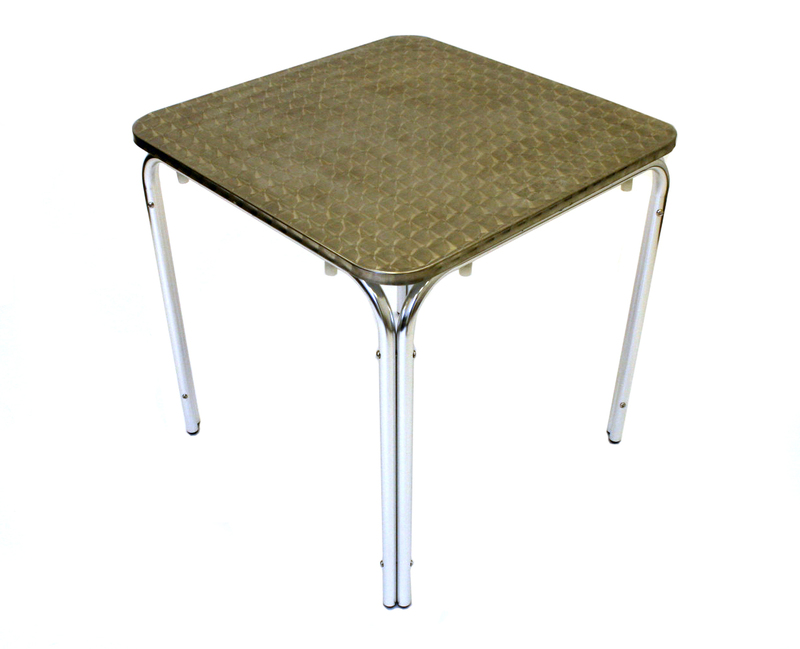 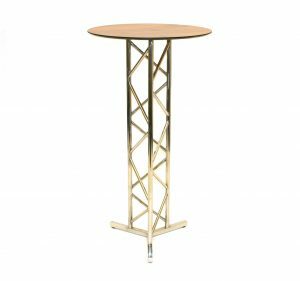 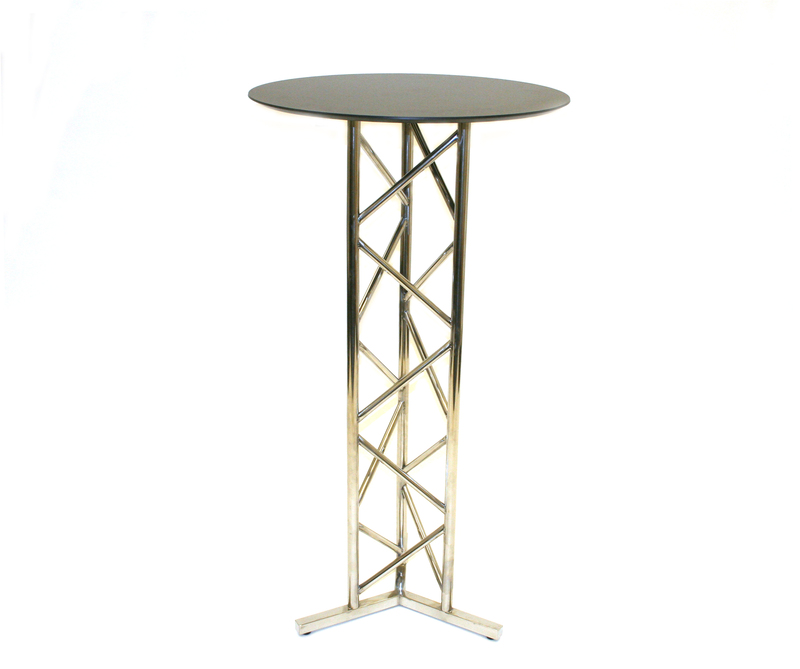 They stack for storage and would be suitable for use with any of our aluminium tables. 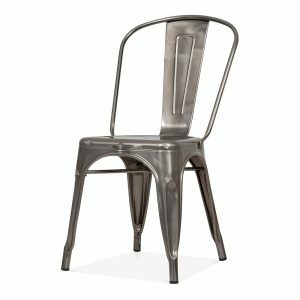 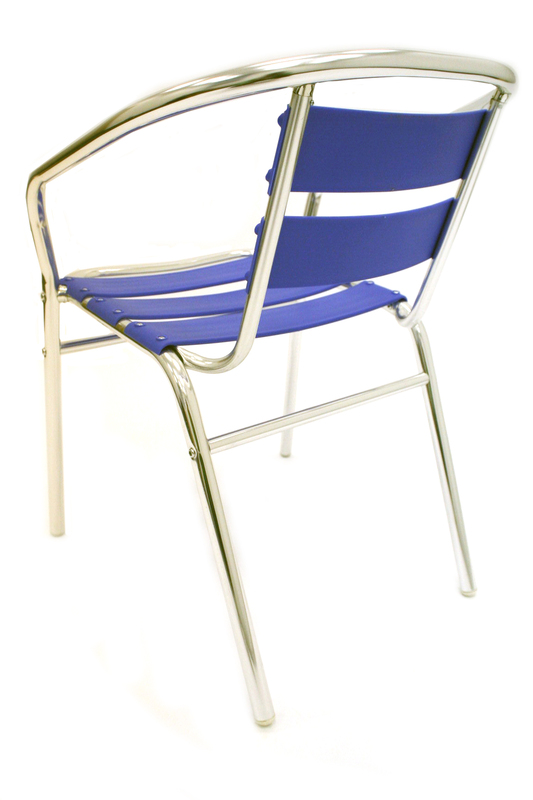 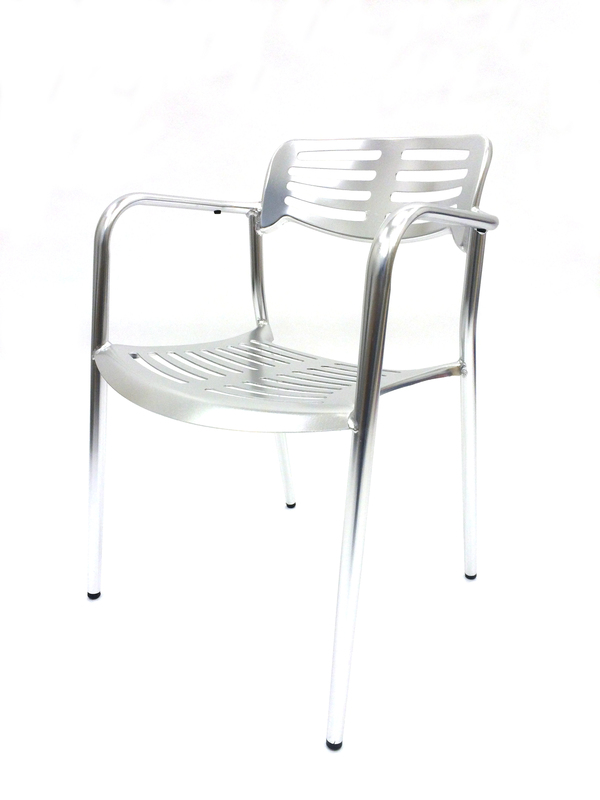 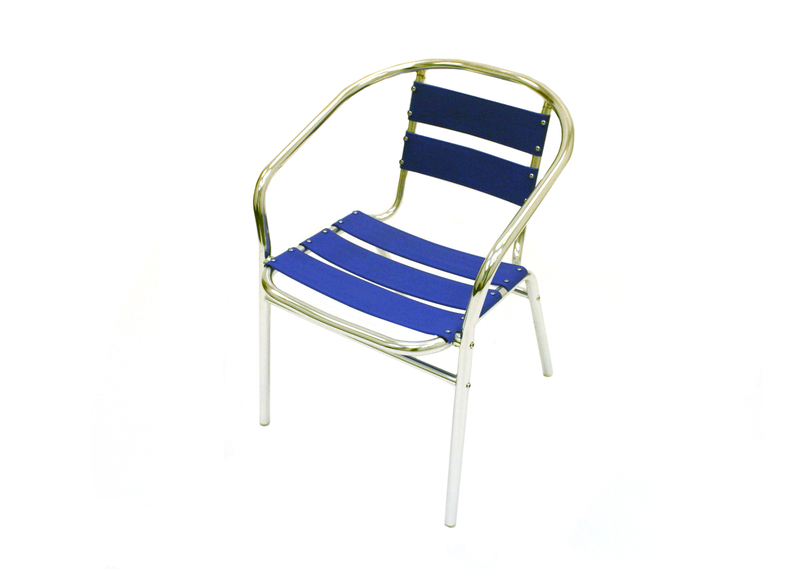 These are also available in a blue aluminium bistro set, complete with table and four chairs.